San Diego, CA (Jan. 24th, 2018) – Renegade Game Studios and Dire Wolf Digital are proud to announce that Clank! A Deck-Building Adventure fans will soon have a new expansion to add to their collection! Clank! The Mummy’s Curse, releasing in March, explores a new pyramid themed board with new monsters and challenges to face in the tombs. Clank! A Deck-Building Adventure has been extremely successful since its premiere at Gen Con in 2016. 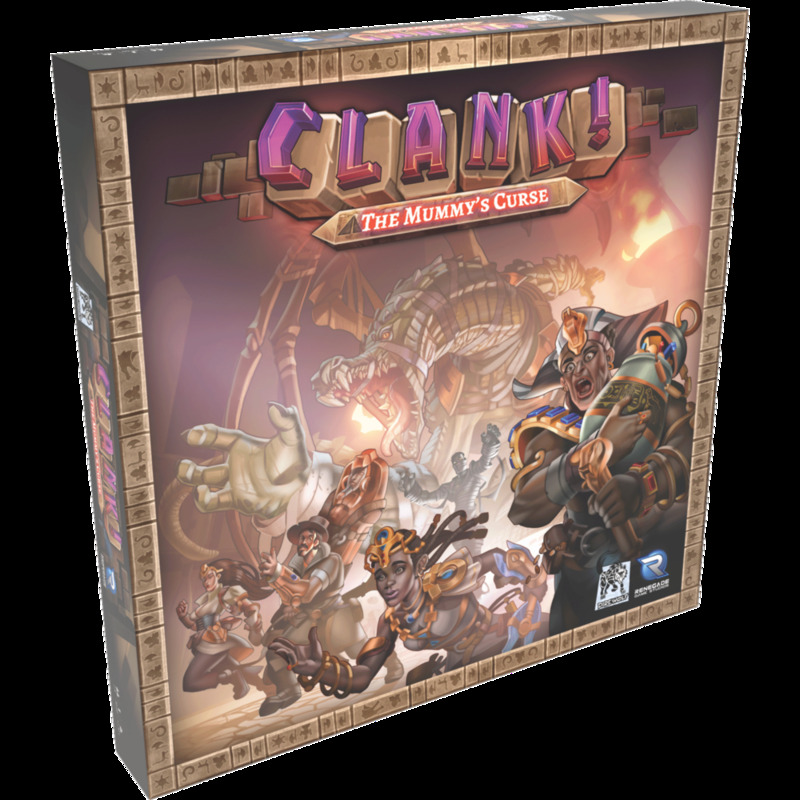 Designed by and co-published with Dire Wolf Digital, Clank! expanded in March 2017 with Clank! Sunken Treasures. Now Clank! The Mummy’s Curse further expands the fun, adding a wandering mummy to avoid, and new artifacts to acquire in the depths of the pyramid! Clank! The Mummy’s Curse will be available this Spring at friendly local game stores everywhere. This expansion to Clank! A Deck-Building Adventure is ideal for 2-4 adventurers that are at least 12 years old. We expect that it will take most treasure hunters about 30-60 minutes to escape, if they are quick, quiet, and lucky.